Cradle your feet in all-day comfort with plenty of style! Leather upper adorned with decorative embroidery and studded ornamentation. Hook-and-loop strap across the instep for plenty of adjustability. Built-in Lynco® support with a memory foam footbed conforms to your specific gait pattern. 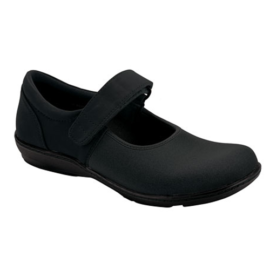 Aegis® anti-microbial technology embedded in the footbed helps protect against fungus, bacteria and odor. Met bar pod reduces stress at the ball-of-foot while the medial support pod minimizes overpronation. Cork midsole provides customized cushioning and shock absorption. Lightweight and flexible EVA outsole delivers long-lasting durability on a variety of surfaces. Everything you love about our classic Berries™ collection now in a sporty Mary Jane! Four way stretch uppers and the innovative bungee hook & loop strap offer optimum fit for all types of feet. Comfortable, stretch material, easy to slip on, healthy for your feet—the list goes on and on! 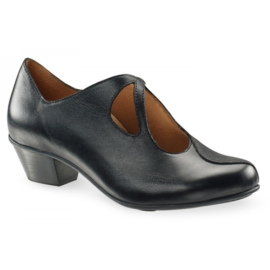 The classic Berries Clog is the perfect shoe for you to throw on in a hurry that will support your feet all day long. The great stretch support of Berries in a sporty, outdoor look. The Bungee Oxford is great for transitioning through different activities and weather! We took the Sandalista® bottom that you love and made it ready to wear for cooler weather! 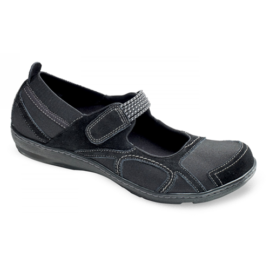 The Mary Jane design of the Cheryl with the adjustable strap makes it a great fit for all different types of feet. 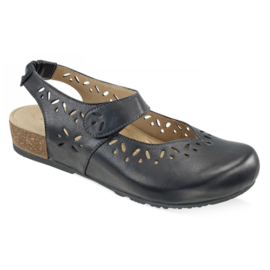 Our stylish Berries Mary Janes provide support and adjustability with cute stitching and lots of healthy benefits. They’re so comfortable you just might forget to take them off after a long day on your feet! The Elaine wedge is the perfect close-toed wedge with comfort-enhancing features including built-in orthotic support & soft memory foam cushioning. The intricate studded detailing adds a little flair to this otherwise refined, simple style. Available in several different widths, the Helen is perfect for women who need extra room and superior support. The Leanne achieves a classy romantic look through its asymmetrical, teardrop cut-out design. Its bungee button closure provides extra flexibility for unmatched comfort. The Sandra is the perfect sandal for on the go days. It’s fun feminine design makes this slip-on a great option for maintaining your fashion sense on casual days. The Sylvia boasts a sophisticated style with trendy braided detailing in a heel with premium comfort features. The adjustable straps allow you to find your perfect fit & built-in arch support helps keep your feet properly aligned all day!